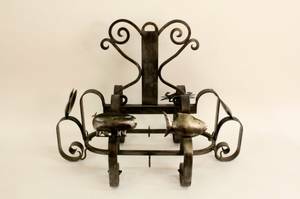 A Moschino 'Coming and Going' Jacket. 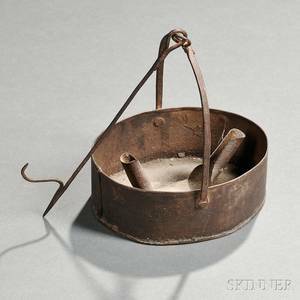 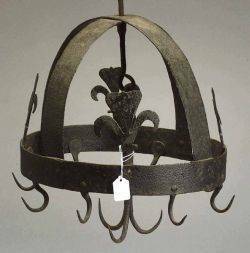 Iron Kitchen Hanging Pan Fixture w/Animal Dec.
20th century. 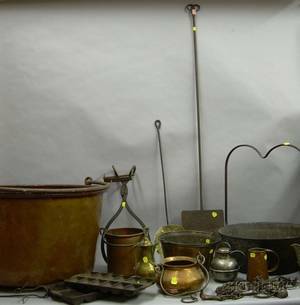 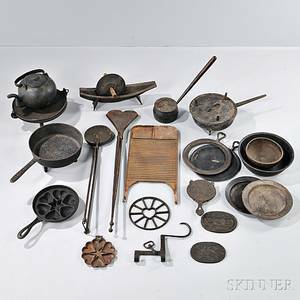 Heavy iron metal hanging fixture or rack to accomodate pans and other cooking equipment with oval form frame accented with six hooks alternating with scrolled decoration with primitive or folk art animal mounts including a fish, pig, chicken or rooster, and crab below additional scrolled decoration at top. 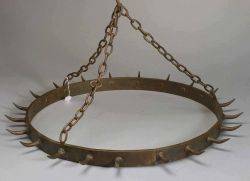 Height 28 inches, width 39 inches, depth 22 inches. 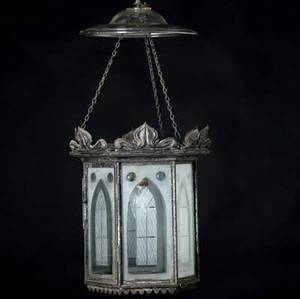 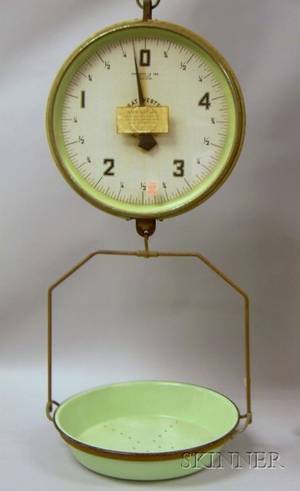 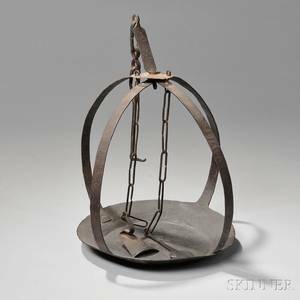 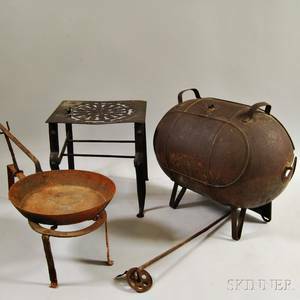 Archived auctions similar to Iron Kitchen Hanging Pan Fixture w/Animal Dec.
Gothic hanging light fixture with etched glass panels in a hexagonal iron frame, with smoke bell and pull down chain, electrified, 19th c. original fixture to "cintra"."